My name is Ashlyn Ellsworth and I am a new member to TBOTE! I am so excited to start this journey and can't wait to get to know more followers and other teacher entrepreneurs! My husband and I are focused on our adoption fundraiser right now and we are selling adoption awareness t-shirts for $20. If you have adopted, were adopted or know someone who was adopted you know the benefits of this amazing service others can do for children. We have been trying to start a family for 5 years now and we are hoping that with the efforts of our friends, family and teacher friends we can raise money to go towards our hopeful adoption. 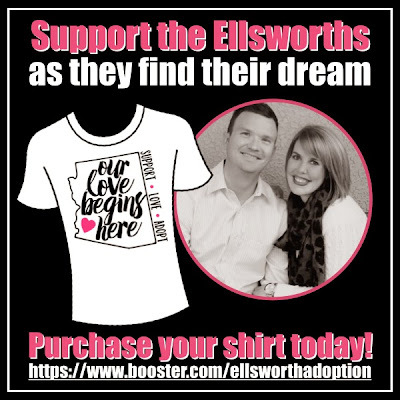 Help us out by visiting the link below and get yourself a t-shirt and help the Ellsworths as they find their dream!